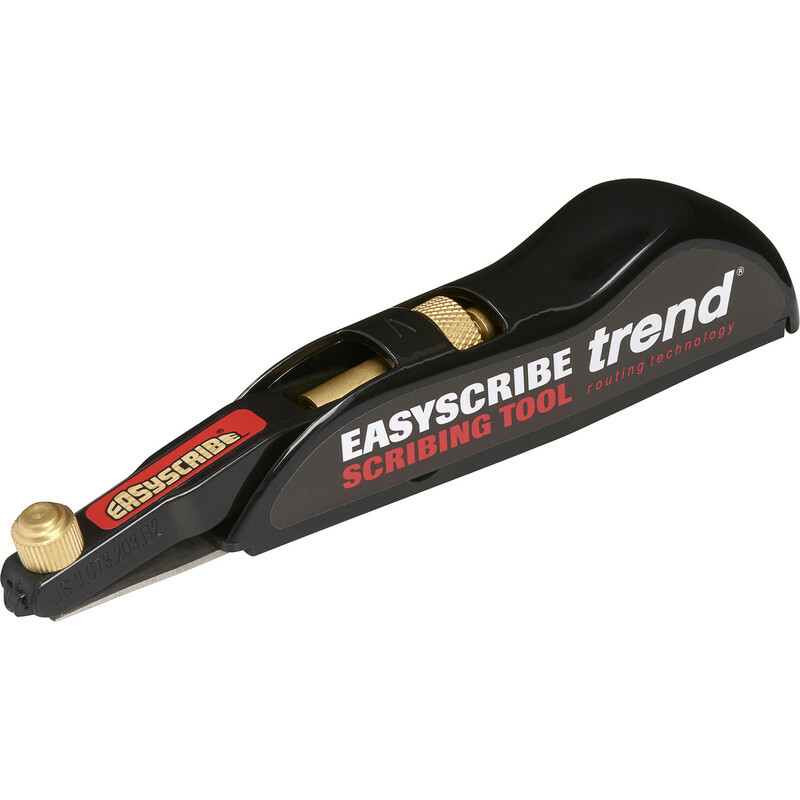 Handheld scribing tool for architrave, skirting, doors, worktops, hinge recesses and more. Articulated arm allows for easy setting from 1mm to 40mm. Thin 0.5mm guide plate for access into narrow gaps. Sliding steel guide plate for up to 50mm projection. Ideal for scribing worktops, end panels, shelves, skirtings, architrave, plinths and many more. Single handed operation for easy adjustment.